Infant and child mortality rates have decreased dramatically over the past 100 years, but both still occur at alarming rates. Many cemeteries have sections set aside exclusively for children, something genealogists should keep in mind when researching children. 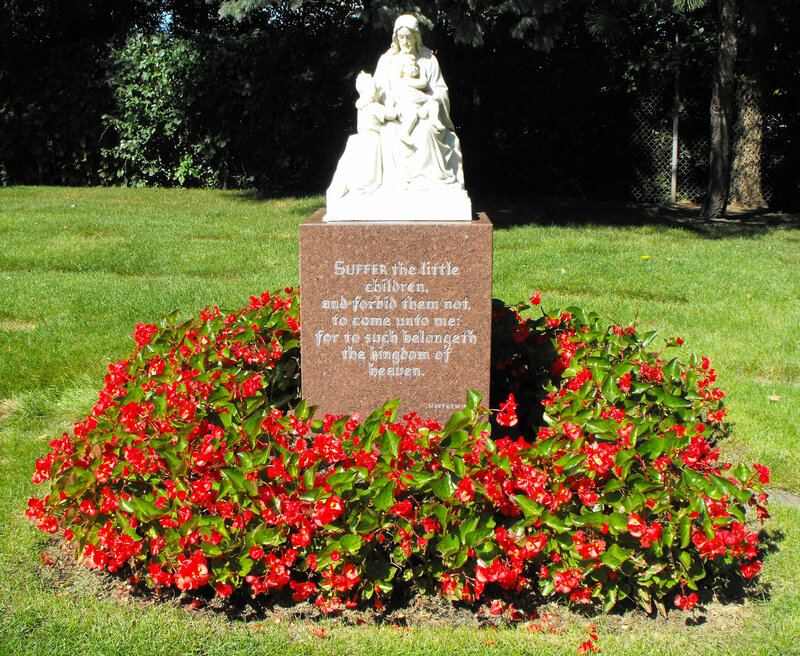 In Minneapolis’ Lakewood Cemetery, this section is called Babyland. It’s a lovely tree-lined area with the statuary below in the center. Matthew chapter 19, verse 14: But Jesus said, Suffer the little children, and forbid them not, to come to me: for of such is the kingdom of heaven.